Hatton 60-inch W 6-Drawer 2-Door Vanity in Brown With Marble Top in Beige Tan With Mirror Bring a fresh, traditional look into your bathroom with this vanity. Its beige tan marble counter and brown solid wood base are very easy on the eyes. With a double-door cabinet and drawers, this vanity can hold all kinds of bathroom items. Put a nice twist on your bathroom project with this classic piece from Wyndham Collection. 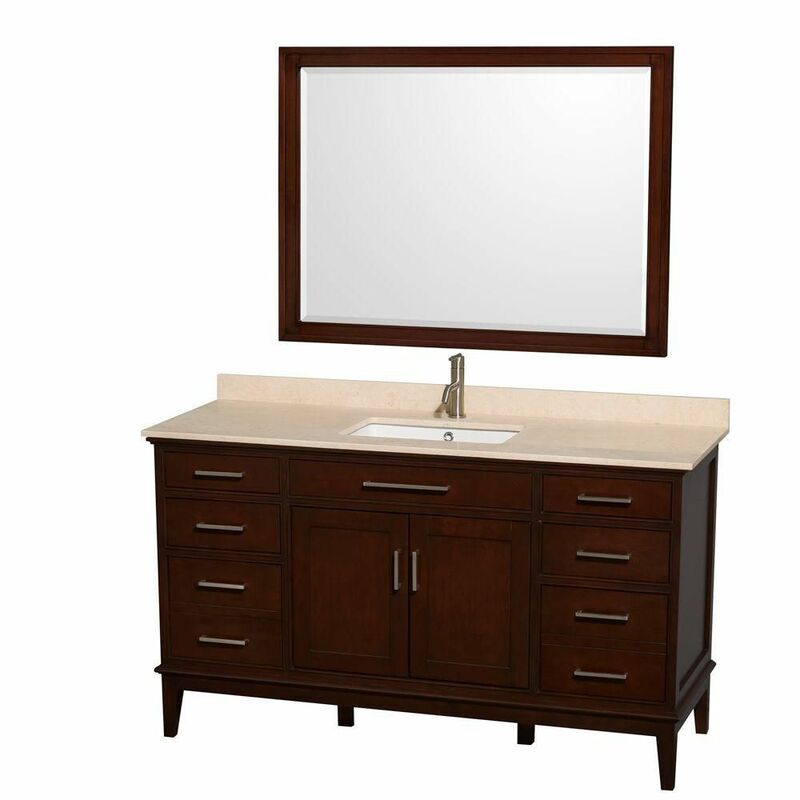 Hatton 60-inch W 6-Drawer 2-Door Vanity in Brown With Marble Top in Beige Tan With Mirror is rated 5.0 out of 5 by 1. Rated 5 out of 5 by MN from This vanity is VERY well made. I was nervous ordering without seeing it or colors in person. I... This vanity is VERY well made. I was nervous ordering without seeing it or colors in person. It is very nice! I ordered the ivory top since I have a lot of of browns in my bathroom and it's just fine. Drawers can hold a lot of things-2 deep drawers are very helpful. Mirror also works well and is very heavy. Doors and drawers do not feel cheaply made. The product was also very well packaged-no problems. I would recommend this product.